Under ordinary circumstances, it might seem crazy to sign a player who has appeared in only 29 games in the past 32 months to a contract extension (hat tip to @ArdenZwelling). But Dustin McGowan is anything but ordinary. It appears as though the Blue Jays are taking a leap of faith by inking Dustin McGowan to a two-year contract extension (plus an option for a third). The timing of the announcement could not be any more confusing, as McGowan left his minor league start on Sunday with a foot injury. There was a veritable gamut of emotions within 24 hours; at first it seemed like Dustin McGowan might not be on track to make the Opening Day roster. And then the next day, he signs a contract extension. Talk about highs and lows. From the outside looking in, this might look like a very curious contract extension. 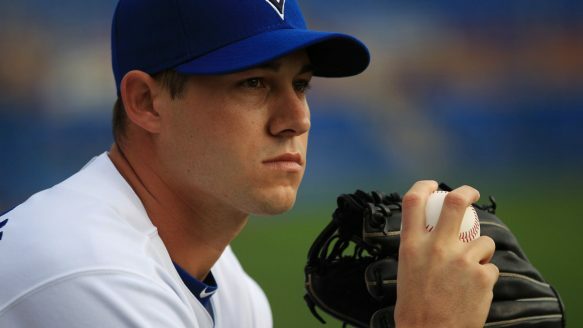 However, as Blue Jays fans know very well, there is a much larger back story to the whole Dustin McGowan situation. I don’t believe this contract is really about the money, and it really isn’t about the duration of the contract either. It’s about the Blue Jays showing their commitment to Dustin McGowan and vice versa. Much like Travis Snider, Dustin McGowan’s journey back to the Major Leagues has been a long and maligned one. He has encountered setback after setback, and yet McGowan is still battling and his long-awaited comeback is nearly complete. There’s no question it’s a risky move to offer up two more years and potentially a third to a pitcher who only has one full season under his belt. Occasionally in this business, it’s not about making shrews moves, and it’s about doing the right thing. For someone with the moniker of the “Silent Assassin”, this was one move by Alex Anthopoulos that wasn’t cold and calculated. It might be viewed as a smart signing by the Blue Jays, but this was more about being loyal to Dustin McGowan than it was the bottom line. As perplexing as this contract extension may be, at least it locks up another member of the starting rotation long term. That means the Blue Jays now have three starters locked up through 2015 (pending they exercise Morrow and McGowan’s options). I don’t understand why some folks are being critical of the Dustin McGowan contract extension. This is a no-risk move for the Blue Jays, and at this point they really don’t have anything to lose. Frankly, neither does Dustin. Yes, that money could very easily be spent elsewhere, and McGowan’s roster spot could be filled in a heartbeat. With the wealth of starting pitching in the minor league system, there’s a laundry list of candidates who could step in to that fifth starter’s job. But you know what? If the Blue Jays were going to spend all this time and effort getting Dustin McGowan back to the altar, they may as well go through the ceremony. They’ve come this far with McGowan, so why not just take the next step? For someone who was nearly written off completely, it’s incredible just how far Dustin McGowan has progressed these past few years. There must have been instances when he thought he’d never pitch in the Major Leagues ever again, and yet he’s persevered and fought his way back. Dustin now has that security and can focus on his rehab without wondering what might happen six months down the road. This contract extension is now the light at the end of the tunnel for Dustin McGowan. Perhaps the experience of Chris Carpenter is behind this? That could have something to do with it. I don't think the Blue Jays want McGowan to be "the one that got away" like what happened with Carpenter. With the dollar amount attached, it's a calculated risk … one that could pan out very well for both parties. I agree. First, forget the option year — it will only be exercised if it is seems worth it when it arrives. The question is whether McGowan can be a reasonable back-end starter for part of each of next season and the one after. If he is less than that, as much as 3million is wasted if he does absolutely nothing. If he is more than that, it's all value — and it could be much more than that. In terms of risks (floor to ceiling) at comparable costs, I just don't see what the problem is. If (and that's a huge "if") he can stay healthy, I think McGowan will be a viable option moving forward. Even if he only projects as the number four or five starter, that's fine because there are plenty of up-and-coming arms that could fill the void at 3 and 4. While I applaud the whole loyalty thing, I believe they could have waited to see if McGowan can actually pitch. As Andrew Stoeten said, let him get 5 or 10 starts under his belt, then give him the extension. He's not going anywhere before that and the Jays don't owe him a thing, other than the opportunity to prove he can still pitch. This whole tossing away millions of dollars on sports people (hello Ron Wilson) just makes me shake my head at how far removed from reality sports really is these days. I know the timing of the extension could not be stranger, but the Blue Jays must be fairly confident that Dustin is healthy. This must have been in the works for some time, it's just that they picked the worst possible time to make it official. Dustin McGowan has not played AT ALL for 3 years. Even when before he was hurt, he hadn't lived up to the hype that his 'stuff' had garnered when he was a prospect. And now, he gets a 2-year contract. Forget the dollars; why this sudden vote of confidence for a 30 year old guy who's coming back from major surgery – multiple surgeries! – and a 3 year layoff. Adam Lind has won a Silver Slugger in the time since Dustin McGowan last went more than 5 innings in a start. Travis Snider is a 24 year old prospect with his best years ahead of him. 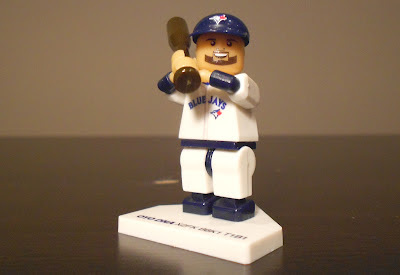 Snider gets sent to AAA, Lind gets crapped on by all and sundry, and McGowan… gets an extension? Nope, doesn't make much sense to me. I'll fully admit, I think some people might be overvaluing McGowan at this point. I think Zaun has said on several occasions that McGowan could be very very good … but that is a huge "if". Like you said, a lot has happened since McGowan last pitched a full season – and the landscape of the team will change even more by the time this contract is complete. This is an excellent move. Yes, the odds are that McGowan will get injured again and not pitch. But the question is: if he does pitch, will he pitch well enough to make the contract worthwhile? For example, suppose that the odds are 80% that he never pitches again. In the remaining 20% possibility, he only has to pitch at the level of 3 WAR over the life of the contract to make it worthwhile (1 WAR has the value of about $5M). IMO, this is an excellent bet. With the dollar amount attached to this contract, I think it's a safe bet to make. The way I see it, the Blue Jays had Juan Rivera on the roster last year for $5 million (even though the Dodgers ate some of that cash). McGowan's total contract amount is only $7 million. With the going rate for starting pitchers with big league experience, that seems like a pretty good deal to me. It may be that the Blue Jays are thinking they would like to send him to the minors but couldn't before because he is out of options and could be claimed by another team. If he has an expensive, long-term contract he is less attractive to other clubs and is less likely to be claimed. It sounds like he'll start the season on the DL at least, but if the Blue Jays wanted to send McGowan down, he'd still have to clear waivers. The likelihood of him being claimed by another team is next to nil, but the White Sox did claim Alex Rios … so I guess anything is possible!